Are you booking the office Christmas Party? Want to do something a bit different? 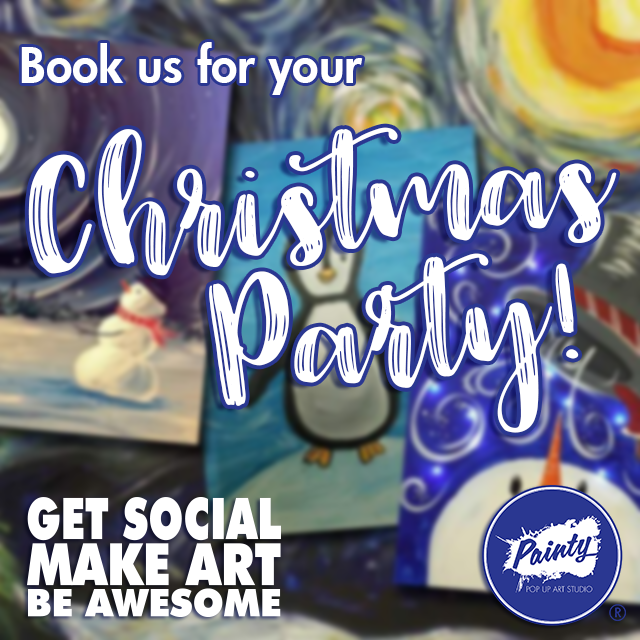 Our Christmas parties happen in a pop up art studio party workshop. Everyone will get their own finished masterpiece to take away at the end of the event. Perfect to gift as a personalised Christmas present, or to liven up the office walls. We guarantee a memorable Christmas Party this year! Get in touch now to Book your event!